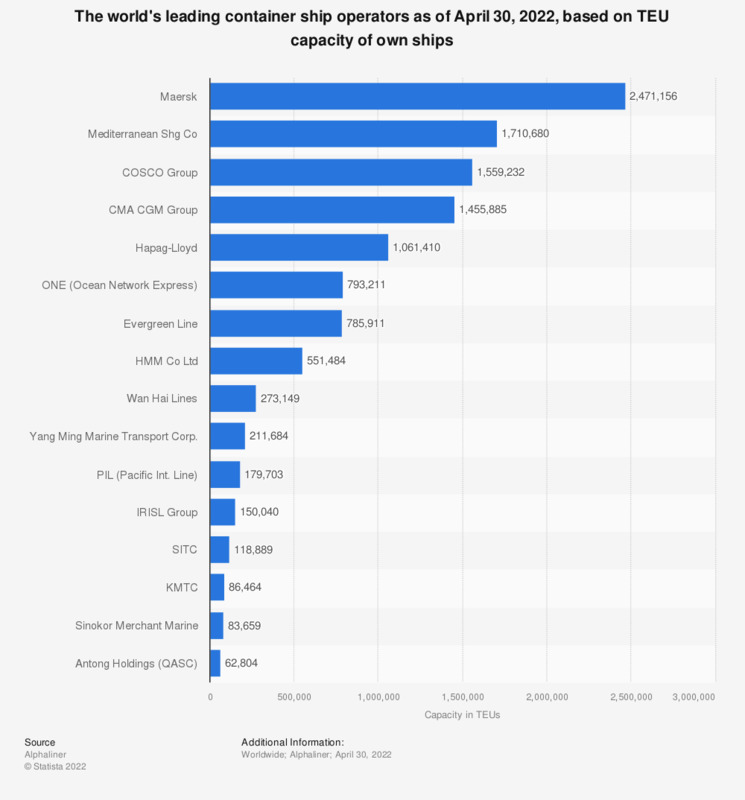 This statistic represents the world's leading container ship operators as of March 27, 2019, based on TEU capacity of owned ships. APM-Maersk owned ships with a total capacity of more than 2.3 million twenty-foot equivalent units. Everything On "Ocean shipping" in One Document: Edited and Divided into Handy Chapters. Including Detailed References.